I had to do it. 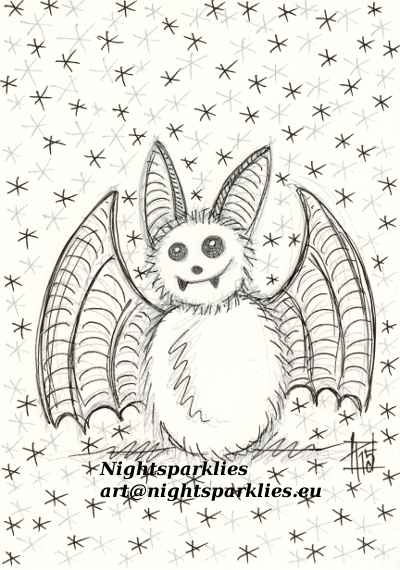 I love bats and I love making them look all fuzzy and cute..lol Silver and black pen. It looks way shinier in real. Laura Macy says: cute! :)	~ Reply? Nightsparklies replied to this: Thanks!! Erich Heidewald says: Fuzzy, cute and just slightly deranged! :D	~ Reply? 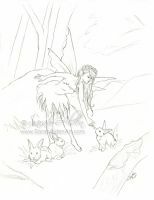 Jenny Heidewald says: Dawwww! ♥	~ Reply?